April Fools. Here’s a gif of a dog listening to a guy play his gaytar. 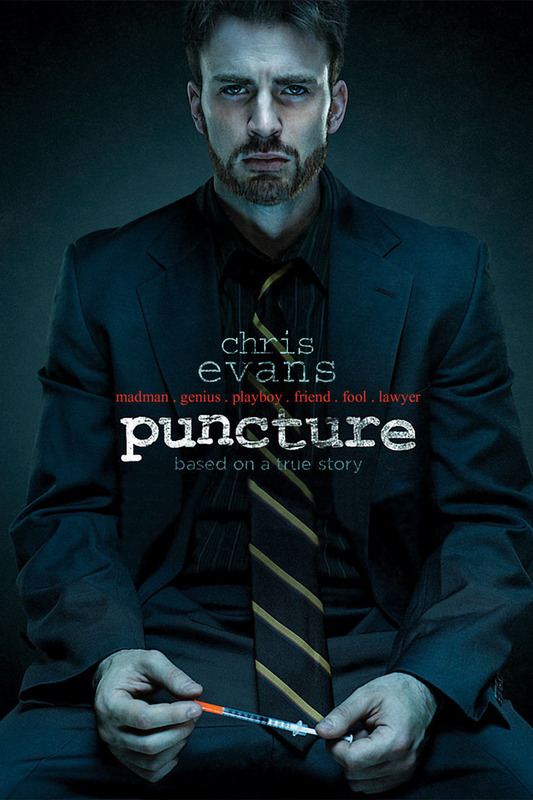 By request I WILL do a mini Captain America 2: The Winter Soldier review but I thought more importantly as a tribute to Evan’s amazing performance as a young actor, today I will review Puncture, one of his more delicious independent feature film roles. Puncture tells the story of two underdog lawyers who take on the case of a nurse, Vicky, who is infected with AIDS by an accidental prick from a syringe. This ‘stick’ opens up pandora’s box of the corrupt U.S. internal health care system . Up to 800,000 people in the U.S. at the time were infected by accidental needle sticks. In Africa and Asia alone millions of people are infected with HIV and Hep C from plastic syringes that cannot be sterilized. All because it’s cheaper. Both Mike Weiss (Chris Evans) and Paul Danzinger (director Mark Kassen) are the lawyers who fight for the case of introducing safety syringes that would save millions of lives but cannot sell in hospitals due to Group Purchasing Organizations that promotes an anti-competitive disadvantage. As the heat turns up in the courtroom, so Mike battles his drug addiction that continues to put his life and his relationship with his firm partner at risk. First off let’s get Chris out of the way. Chris Evan’s performance was phenomenal. I totally get why he doesn’t want to continue with any more Captain America or superhero roles. It’s wasted on him. He can do so much more than prance about in tight clothes fighting for God bless America. In real life, Mike Weiss was said to be a brilliant man who could do so much with very little hours awake/sober. Even under the influence he was an admirable lawyer who in the end, spent most of his waking moments that weren’t with hookers or fellow druggies fighting to make sure conglomerate bullying that wasn’t in favour of safe health care would, if not put to an end, then be kept on their toes. And I think Evans pretty much portrayed him spot on. Evan’s performance was great. But I think it overshadows the real issue here of raising awareness for proper health care. In real life Mike Weiss’s obsession was an indirect result to thousand of hospitals throughout the United States now using safety needles, saving millions of lives from needle infections. It’ll take effort to focus on the real idea the director wanted to bring out because of how Evan’s character upstages everything else. The movie is long. I didn’t think it was draggy because I felt occupied. It’s an action movie and you really need to pay attention with all the jargon flying about. Black Widow was a good sidekick. But I feel her kisses with Captain America were totally uncalled for and unnecessary. Why she so menggatal (itchy). Side question: How did they make Evan’s face so flawless?! Dayng those eyelashes. 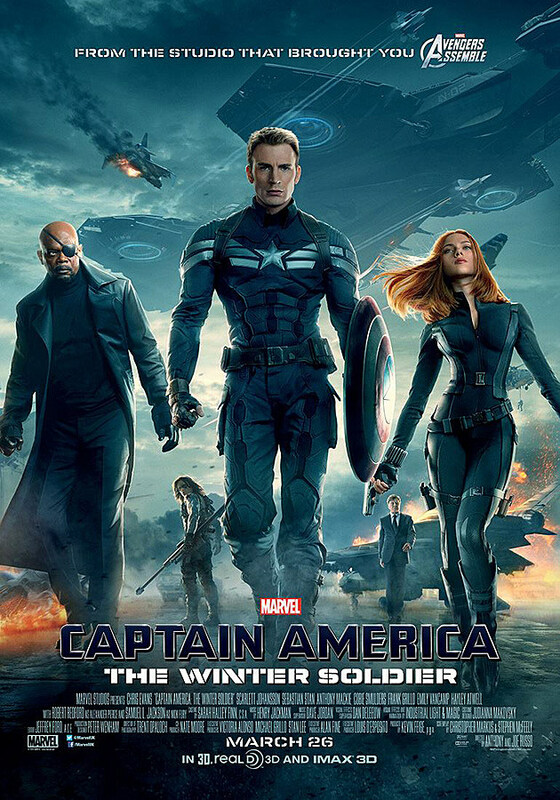 Shock moment: When I saw Bucky, who by the way, plays the role of the winter soldier assassin really well. I enjoyed the action scenes. “Mad-Eye” Moody Nick Fury was pretty beaten up in this film. I notice he rarely smiles. Best quote: I’m with you ’til the end of the line. Other than that, I liked it. Not worth giving any ratings but, I liked it. I can feel the Marvel geeks rolling their eyes at me. Ja ja I know you know the storyline beforehand but hey, not everybody reads the comic. Even if I read them I don’t think I would remember all the details. So complo la the Marvel stories. Cappy is taken over by Bucky? And Magneto has kids? There’s 7 infinity gems? Ultron is Jarvis? Cappy dies? In fact, I hear everyone dies. Who cares? I just want to see Captain America, Iron Man and Thor beat the living daylights out of stuff. And Loki. 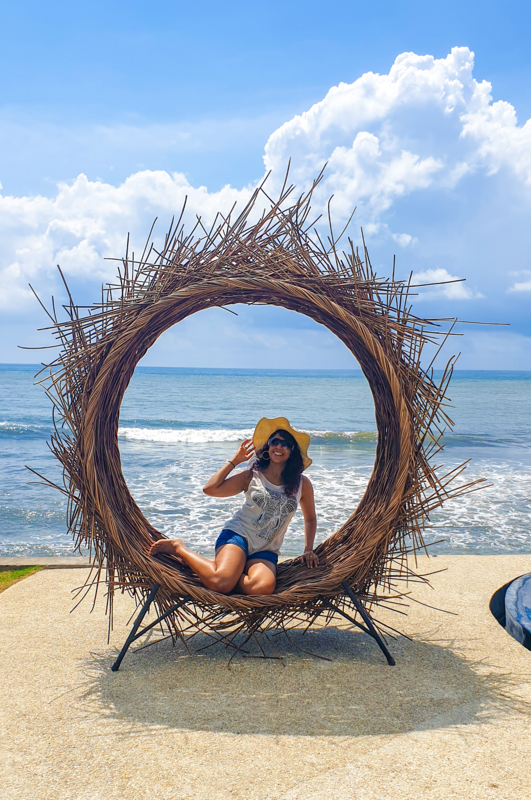 Thinking of: Silversun Pickups Rusted Wheel, open doors and 19 days to JADE! hha yeah you should watch it, he does a pretty decent job as Mike Weiss. Nope he doesn’t look like him at all. yeah i wanted to watch snowpiercer okok will wait for the dld. omg yes Falconn!!! im waiting for it too!!! Anyway,you OUGHT to watch Snowpiercer!! (it was in Malaysia sometime end of February) I love this movie so much.Chris+weird science fiction gets me excited..I can’t give the reason why but yeah,get what I meant right? And owh,claps claps claps to Cap Ame 2.I love it as well.The fighting scene is fast,no-nonsense which reminds me of action movies from Hong Kong.Other than that,I’m side-eyeing on the kissing scenes (what the heck was that for? ).And Anthony as Falcon,I can’t wait for his comeback in Avengers 2.Let’s hope it happens.